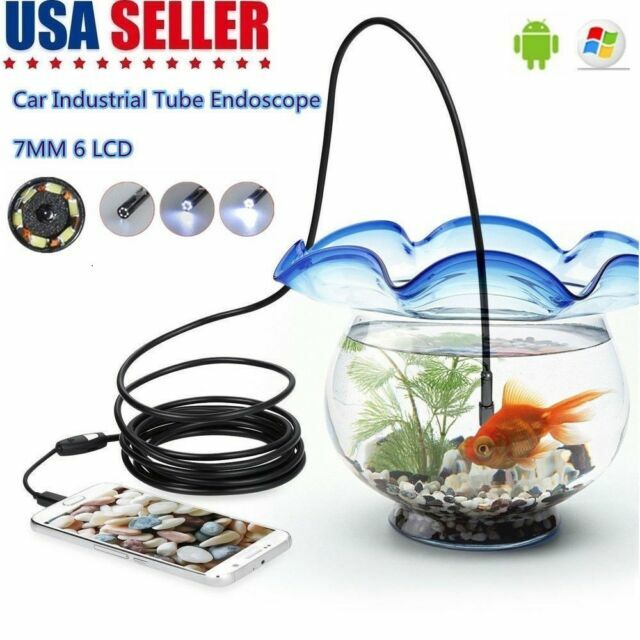 1× 1M Android Endoscope Waterproof Snake Borescope. Waterproof level:IP67. Compatible Most Android phone BUt Your Android Phone must support OTG function. Total length:1M. No responsibility for any custom duty. GET THE JOB DONE AT A CHEAP PRICE. I was looking for a scope to check the cylinder on my vehicle for water leaks. I used the scope and it did the trick. I could see the water on my piston. It also allow me to take a photo of the images I was seeing. It is a little tricky to get it into view but all that is require is to pull back on the scope or push it forward. Once I down load the app it work very good. It works with my computer just fine, however it does not work with my android phone. My phone does meet all the prerequisites for it to work, but it just doesn't. The picture quality is good for the price. So I would recommend because the price is low, and it does work with my laptop. I would not recommend it if you want to use it with a cell phone. I was a little skeptical of this but I took a chance on it. I am a welding Inspector and need to look inside of pieces frequently, I am very pleased with this unit it is compact, the container it comes in fits in my pocket, the clarity is excellent and I would recommend one of these for anyone like mechanics, electricians, plumbers and the average homeowner. you can take still photos and videos with it also. It is a great quality product and I love it. A good package for the price. For the price I really can't complain. You get a good package. The only criticism I have to offer is the about the video quality. It does the job but the images/video produced by the camera are kinda fuzzy. My phone is a Galaxy J3 2016 but My Son's phone is a Galaxy 9 or something and It works perfectly ... I will upgrade and repurchase another one ... We looked in My kitchen sink drain and it was half clogged and shocking ... yuck !! !